Bankruptcy isn’t a step that should be taken lightly. But sometimes, it’s a necessity that simply can’t be avoided. If you’re overwhelmed by enormous credit card debts you can never repay, struggling with massive medical bills, or are barely staying afloat due to unemployment, bankruptcy may be a good alternative to consider. Will a Chapter 7 or chapter 13 bankruptcy hurt your credit rating? Absolutely. But probably not as much you think. And even though a bankruptcy filing does generally stay on your credit report for 10 years, you can recover from bankruptcy far, far sooner than that — sometimes in as little as two years. None of this is to suggest that bankruptcy is a magic bullet for whatever ails you financially. It’s not. So if you do decide to file for bankruptcy protection, it’s vitally important to go into the process with your eyes wide open, fully aware of the pros and cons associated with taking this major financial step. 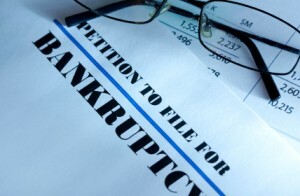 Here is our handpicked selection of recommended articles on the topic of bankruptcy. Can I keep my car if I file for bankruptcy protection? What If I Change My Mind After Filing Bankruptcy?